Packing a shoebox is a wonderful family tradition and we started it with our oldest granddaughter when she was just a toddler. 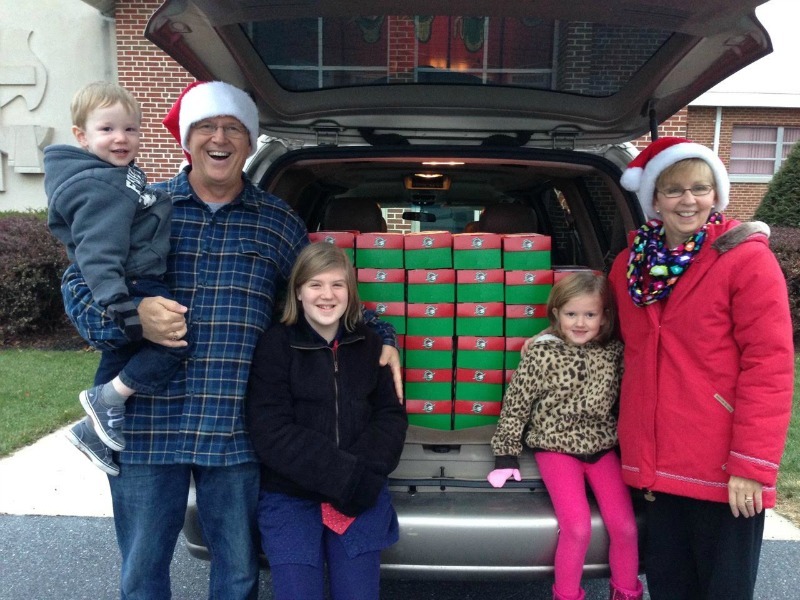 Last year our grandchildren helped us celebrate our 40th wedding anniversary by packing 40 shoeboxes. 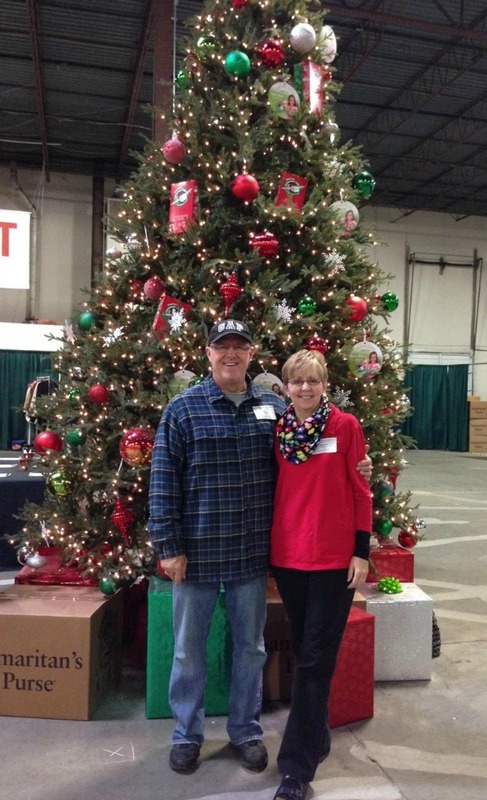 My husband Terry and I had another goal, to actually go to one of the processing centers in Baltimore. 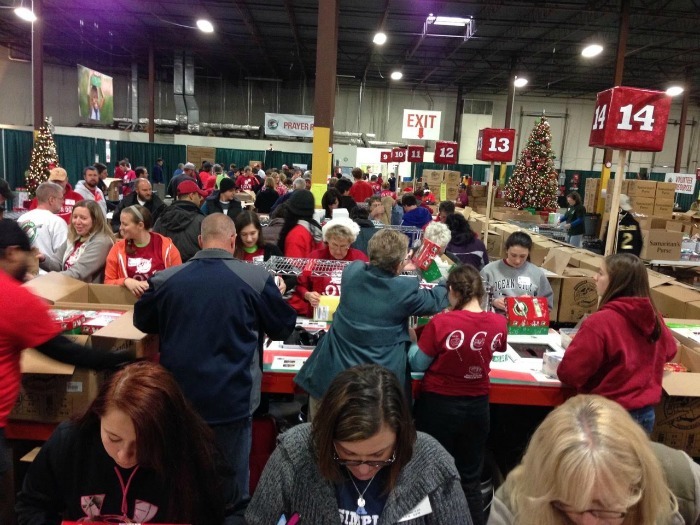 What a great experience to be there and be with the many volunteers that came out to check each shoebox and prepare them for shipment around the world. What I want you to know most of all is that every box is important and has an impact. 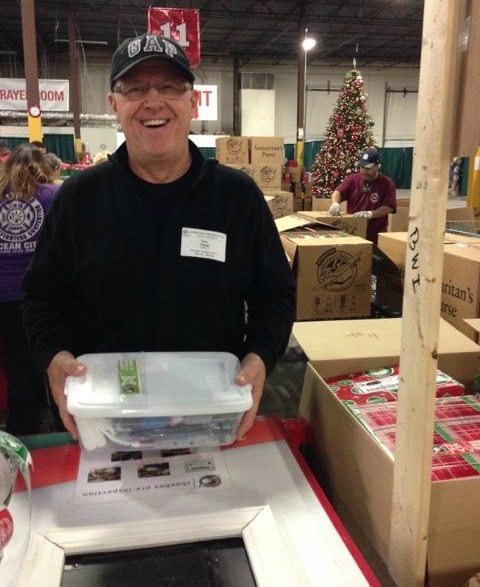 I heard this story told by someone who went on a mission trip to actually distribute the shoeboxes to children in need (that’s on my bucket list to do!). These distributions are carefully planned so that the right amount of boxes arrive for the right number of children that will be receiving them. But on this day, a mother arrived with twins and there was a box for the one twin but not the other. After searching for an extra box and not finding one, the organizers asked the mother if she thought the children could share the one last box and she agreed. And to everyone’s amazement when they opened the box they found there was two of everything. 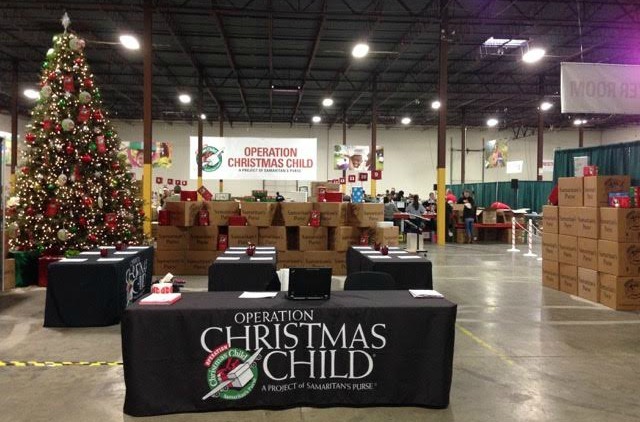 This effort is not about an organization, or it’s CEO, or even the shoebox, but about God and what He can do with what you give. He can take it, use it, multiply it, and even send it to the right recipient, so that in the end it’s about Him, His love, and the HOPE that he brings to a hurting world. May God bless you and guide you as you pack your boxes this year.